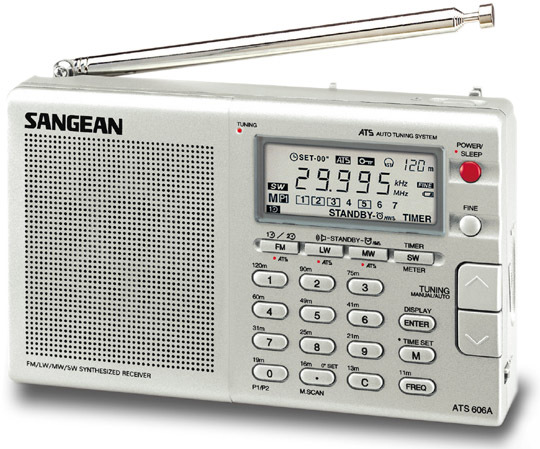 The Sangean ATS-606AP covers 153 - 29995 kHz (all longwave, AM and shortwave frequencies!) plus FM stereo (stereo to headphone jack). 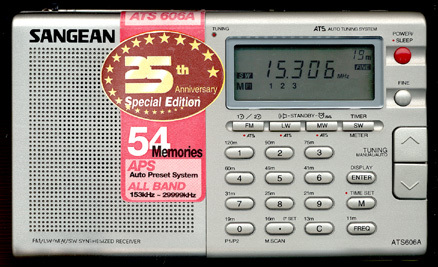 It has digital readout, 1 kHz shortwave tuning, 54 memories and keypad entry. With Auto Tune Scan all memories are preset in order of station signal strength on FM/AM/LW. 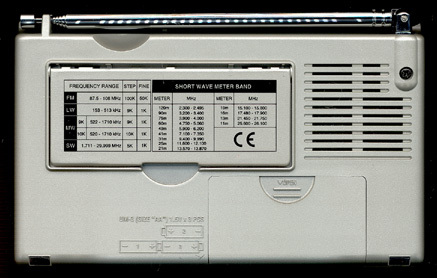 A dual digital clock-timer alarm can show local and UTC. Go sleep gently with a 15/30/45/60 minute sleep timer. You can wake to radio audio or a humane wake up buzzer that gradually increases in volume every minute until you awaken. A momentary dial light switch will illuminate the display for 12 seconds and then turn off to preserve battery life. The lock switch on the side panel prevents the radio from being bumped off frequency by disabling the keypad and tuning buttons. 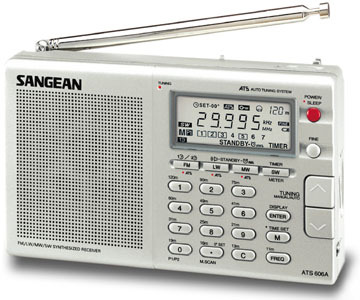 This radio requires three AA cells (not supplied). A built antenna operates on the long wave and medium wave (AM) bands. The built in telescopic antenna works great on the shortwave and FM bands. 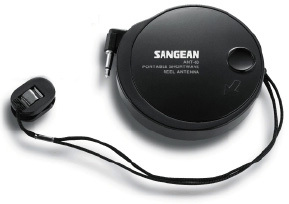 The Sangean ATS-606AP includes: case, earbuds and multilingual Owner's Manual plus the ANT-60 wind-up antenna and multi-voltage AC adapter. Only 5.75 x 3.5 x 1.25 inches 16 oz (146x90x32mm 450g). Copyright 2001-2016 Universal Radio, Inc.